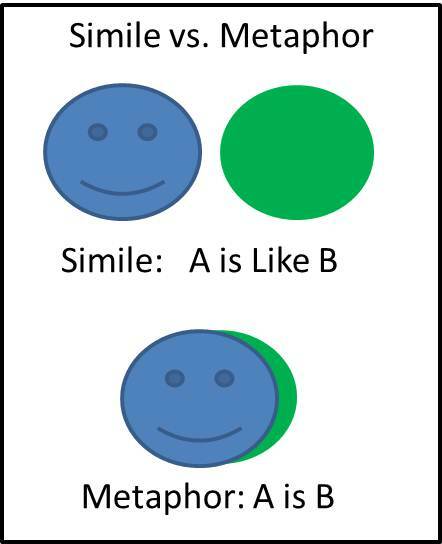 Simile is, a comparison (usually introduced by like or as) between two things that are generally not alike--such as a line of migrant workers and a wave, or onion skins and a swarm of butterflies.Writers use similes to explain things, to express emotion, and to make their writing more vivid and entertaining. The farm was crouched on a bleak hillside, where its fields, fanged in flints, dropped steeply to the village of Howling a mile away. Time rushes toward us with its hospital tray of infinitely varied narcotics, even while it is preparing us for its inevitably fatal operation. Over my head the clouds thicken, then crack and split like a roar of cannonballs tumbling down a marble staircase; their bellies open--too late to run now!--and suddenly the rain comes down. The seabirds glide down to the water--stub-winged cargo planes--land awkwardly, taxi with fluttering wings and stamping paddle feet, then dive. The first sentence above contains both a simile ("a roar like that of cannonballs") and a metaphor ("their bellies open") in its dramatization of a thunderstorm. The second sentence uses the metaphor of "stub-winged cargo planes" to describe the movements of the seabirds. 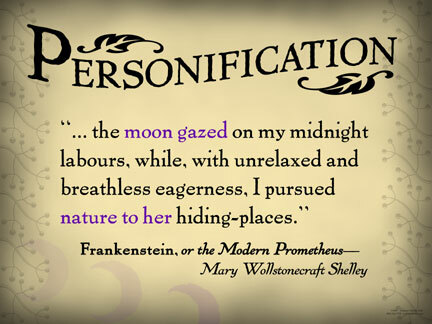 In both cases, the figurative comparisons offer the reader a fresh and interesting way of looking at the thing being described. A metaphor is a figure of speech in which an implied comparison is made between two unlike things that actually have something important in common. 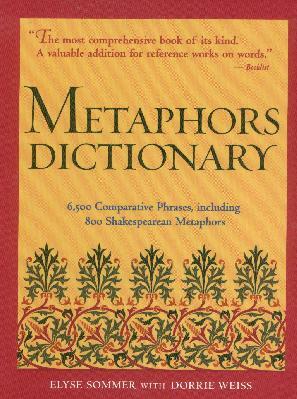 The word metaphor itself is a metaphor, coming from a Greek word meaning to "transfer" or "carry across." 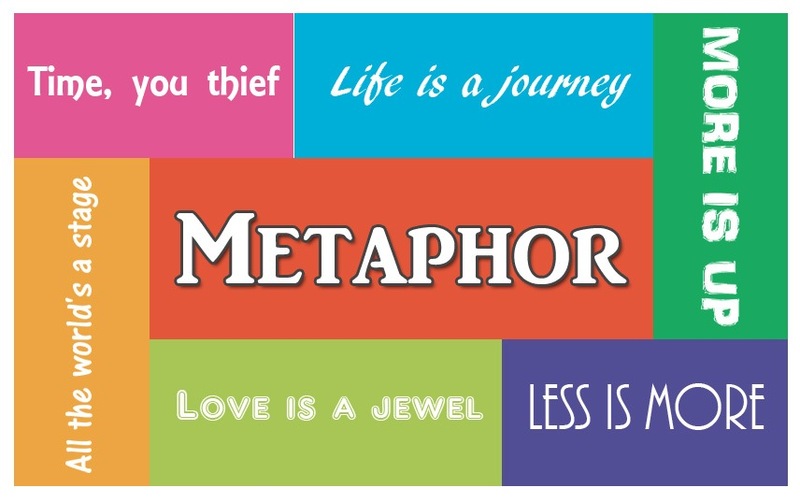 Metaphors "carry" meaning from one word, image, or idea to another. Some people think of metaphors as nothing more than the sweet stuff of songs and poems--Love is a jewel, or a rose, or a butterfly. 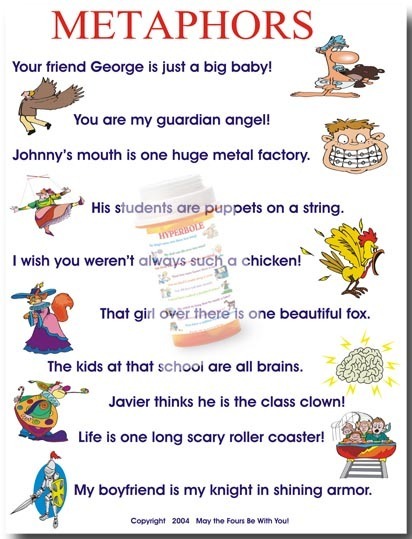 But in fact all of us speak and write and think in metaphors every day. 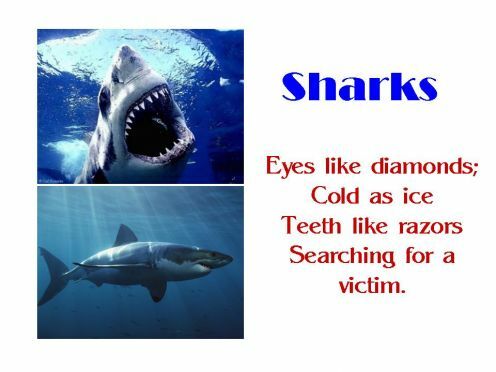 They can't be avoided: metaphors are built right into our language.For example, advertisements: 1. "Life is a journey, travel it well. "(United Airlines). 2"Life is a journey. Enjoy the Ride (Nissan) Metaphors are also ways of thinking, offering readers fresh ways of examining ideas and viewing the world. -"Love is the wild card of existence." (Rita Mae Brown, In Her Day) -"Time, you thief"
(Leigh Hunt, "Rondeau") --"Memory is a crazy woman that hoards colored rags and throws away food." (Austin O'Malley) -"Life is a zoo in a jungle." 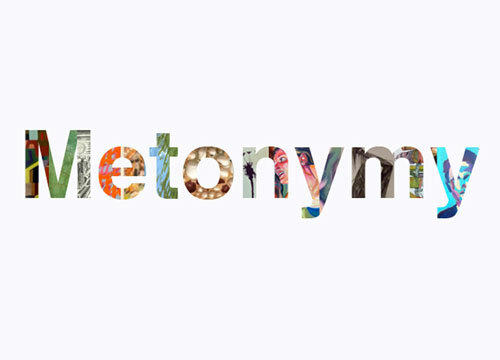 Metonymy is a figure of speech in which one word or phrase is substituted for another with which it is closely associated (such as "crown" for "royalty").Metonymy is also the rhetorical strategy of describing something indirectly by referring to things around it, as in describing someone's clothing to characterize the individual. 'He is a man of cloth', which means he belongs to a religious order. 'He writes with a fine hand', means he has a good handwriting. 'We have always remained loyal to the crown', that means the people are loyal to the king or the ruler of their country. 'The pen is mightier than the sword' refers that the power of literary works is greater than military force. 'The House was called to order', refers to the members of the House. Opportunity knocked on the door. The sun greeted me this morning. Snow had wrapped a white blanket over the city. Time never waits for anyone. Trees were dancing with the wind. The radio stopped singing and continued to stare at me. The picture in that magazine shouted for attention. Plants were suffering from the intense heat. The flowers were crying for my attention.